Summer is all about beaches, sand and fun activities. During the summer season, planning in advance of which beach you want to go to and what things you are going to bring helps save time. What is the best and practical solution when folding a towel into a bag? The following are tips listed below for your ultimate summer experience. 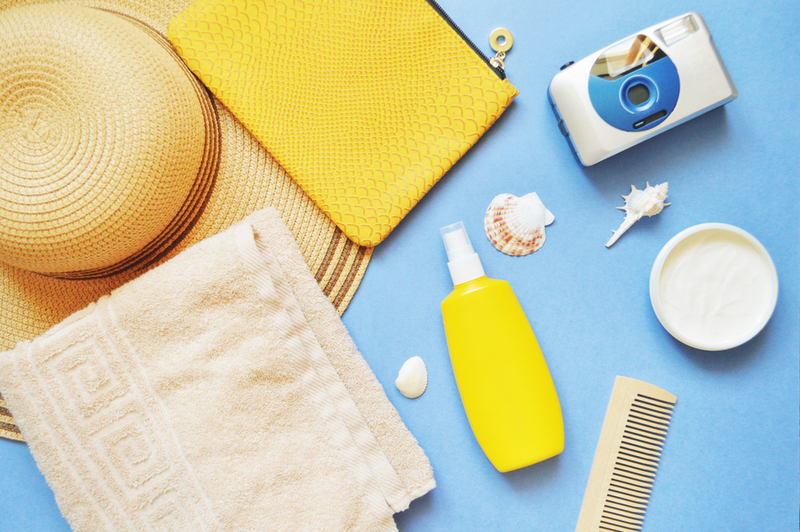 In order to have a relaxed beach getaway, it is important to bring and pack the right things. Before heading to the seashore, be sure everything is packed and ready to go and arrive stress-free on the beach. and most importantly, a towel. Summer vacations are not complete without a trip to the beach. Feeling the wind rushing by, hearing the waves, eating and drinking by the beach, and swimming just before the sun sets is one of the best things in life. After doing all of these things, specifically swimming, one thing you will need is a large beach towel. Towels come from different materials, sizes, and shape. Most towels are 100% cotton while some products also offer a silky feel. There are a variety of unique designs to choose from when buying a towel such as stripes, patterns, decorative weave, checkers, and so on. You can have a towel customized to make it more suitable to your wants and needs. Whenever you are purchasing a towel for your next trip, consider the weight of the towel and compare similar products altogether. The heavier the towel is, the more water it can soak up and provides maximum comfort. On the other hand, pool towels have a softer and lighter feel compared to most towels yet they are designed to dry quickly and be absorbent despite being lightweight. There are many reasons to properly use a towel and one brilliant hack is to fold it into a bag. You are more likely to save time and space by creating your own beach bag out of a large towel for all your beach necessities. 1. Lay your towel flat on the floor or on the bed. 2. Find the "A" point by bringing 2 diagonal corners of the towel together. 3. Focus on creating a knot first despite how big it may seem. 4. Create knot "B" and "C" by looking for the corners where the two sides meet. 5. Turn the large towel inside and out, making knots "B" and "C" inside. 6. Tie the "A" points. 7. The overhanging or extra side on the "C" side can be tucked in or left out as a detail. 8. Slide the towel-turned-into-bag down to tighten. An all in one bag and mat? Yes, please. 1. A 3-inch section from the ends of a 21-inch webbing must be sewn to the centre of the longer side of a hand towel. 2. Repeat the first step on the short side of the large towel. 3. Place the hand towel on the large towel. Ensure that the handles are facing one another and aligned. 4. Leave the sides with handles open then stitch the towels together with the longer edge of the hand towel. 5. To create a pocket, carefully stitch the short sides of the hand towel with 4 inches in from the edges. 6. Flip inside out and then the length of the large towel must tuck into the pocket. 7. To use as a mat while you are on the beach, unroll the towel and turn it inside out. A large beach towel bag is exactly what you need when carrying a lot of items since it is comfortable to bring and wear on your shoulder. 1. Grab the towel and lay it out flat. 2. Cut the fabric of the towel to your preferred length and width for the handles. Cut the seam from the towel to know the precise length and width that you will need. 3. Make marks after splitting the width in 3. 4. Use the marks as your guide. Fold the side with the raw edge in. 5. After folding the side with the raw edge, fold the side with the finished edge. 6. Make an allowance while sewing the finished edge on the inside. The allowance will depend on your preferences. 7. Sew the other side using the same allowance. 8. Inside the handle, sew 2 more stitches. 9. Place the large towel on a table with the right side out. 10. Make marks while dividing it into 3. 11. Attach the handles onto the marks you made. 12. About 2" from the end up, sew the handles down. 13. If you want to make a design, cut out the design and place it over the handles horizontally and right side out. 14. Sew along all sides after placing it over the handles. 15. Lastly, fold the towel in half. Sew the sides using a 1/2" allowance wrong side out. Aside from being a fashion statement, towels are a source of comfort and luxury, it is essential when going to the beach. Can you survive going to the beach without a towel? the answer is no. The perfect beach companion for you is the trusted premium towel brand for almost 40 years of experience in manufacturing and designing products and these are the all-purpose Canningvale beach towels. An all-new summer towel collection with the finest quality, luxurious designs, and a comfortable feel is about to hit the market. Each and every towel are made to meet or exceed your standards from 100% cotton on a silky soft velour finish. Going to the beach is one of the best ways to unwind, relax, and try new things with family and friends. Pack all of your things and do not forget to purchase a brand new, authentic and durable towel now.